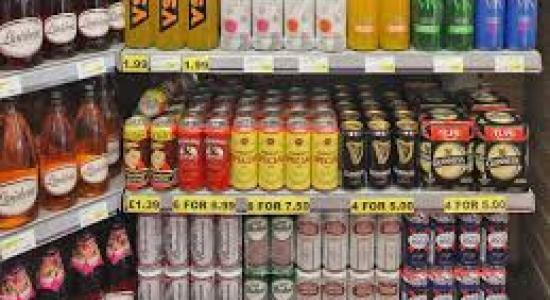 Senior doctors have accused the UK Government of its supporting attitude towards the drinks industry after the health officials and ministers had 130 meetings with alcohol and supermarket lobbyists regarding the new price controls. The government justified the meetings as being entirely proper. In a letter, twenty one senior doctors and campaigners including Prof Sir Ian Gilmore, special adviser on alcohol for the Royal College of Physicians expressed their apprehensions about public health in Westminster. “The drinks industry continues to have high-level access to government ministers and officials while no forum currently exists for the public health community to put forward its case in an environment free from vested interests,” Gilmore told The Guardian. An investigation was carried out by the British Medical Journal after David Cameron backed plans to impose a minimum price per unit of alcohol. The policy was dropped in July last year due to the lack of “concrete evidence” it would reduce harmful drinking. The policy had been opposed by several senior ministers thinking it would raise the cost of beer, wine and spirits for shoppers. According to a spokesman for the Department of Health, it was completely baseless to conduct routine meetings between departmental officials and industry representatives as it would amount to an improper relationship with the drinks industry. Seven out of sixteen members of the Government and Partners Alcohol Working Group, who are in charge of advising the ministers, are from the industry. Critics say this the evidence for the body pandering to the interests of the industry at the expense of public health. According to reports, The Wine and Spirits Wholesalers of America spent $260,000 lobbying Congress in the second quarter of 2010, the Food and Drug Administration, the Department of Health and Human Services, and other agencies on food safety and labor issues. The spokesman for the Department of Health said “We are committed to challenging the assumption that the only way to change people’s behavior is through rules and regulations.” “Everyone, whether the NHS and public services or alcohol retailers, producers and pubs, has a role to play in reducing the harmful use of alcohol” she added.